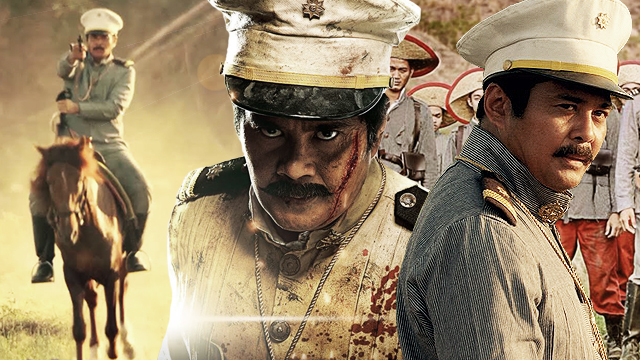 In spite of the unanimous praise, <em>Heneral Luna</em> is being pulled out in a significant number of cinemas. WTF! The Heneral Luna movie is incredible. The critics have spoken, and in unison they sang praises. On social media, posts raving about the film have routinely popped up through the week, in between your daily barrage of AlDub and Pastillas Girl updates. In spite of the overwhelming approval though, the film's official Facebook page have posted calls for further support. A significant number of cinema houses have reportedly pulled out the film in favor of other films they deem more commercially appealing. Cinema houses should probably ask themselves the same question that the movie puts squarely: Bayan o sarili? Heneral Luna, beyond its technical achievements, is a cultural milestone—a gripping retelling of events from a former century whose lessons resonate, quite scathingly, in today's society. Its overall value—the lessons it might impart on the Filipino condition—far exceeds whatever box-office potential the cinema houses have seen in replacing it abruptly. Or haven't they seen how moviegoers have reacted to it? There is something strange that happens after screenings of Heneral Luna: People clap unanimously. As the screen fades to black, moviegoers have been putting their hands together without having to be prompted by That Guy Who Always Seems To Be The First To Clap. In this film's case, there was a feeling that you wanted to be the first to salute our tragic titular hero. So, to those who haven't seen it yet, here's your chance to not just catch a culturally significant movie, but also have a hand at making sure it reaches more viewers. Put it on your to-do list this weekend. To cinema houses, here's an opportunity to invest in a nation's goodwill. KILL COUNT: How Many People Has Superman Killed In His Movies?